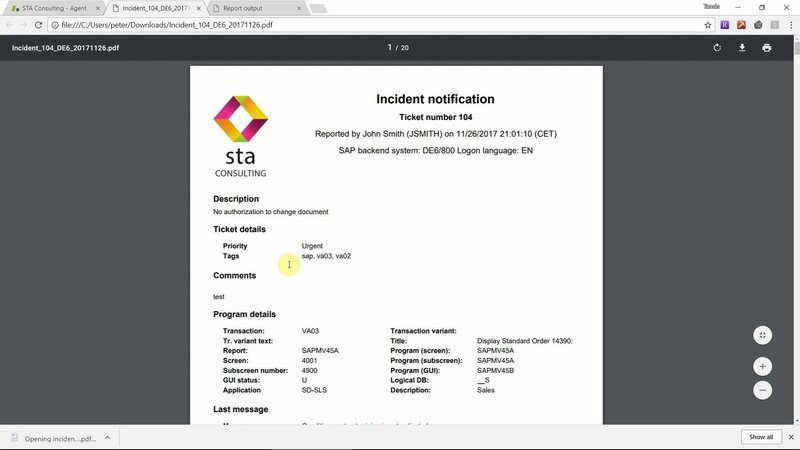 Learn how you can integrate your SAP systems and Zendesk using STA Ticket System. The most important benefit of this integration is that the entire technical and business context is attached to all incidents created from SAP. This provides tremendous value for your support staff and helps them solve problems much quicker. This post will show integration using both Mail API and the REST API of Zendesk to create incidents. You can launch STA Ticket System in the program where the error occurred using the System menu. 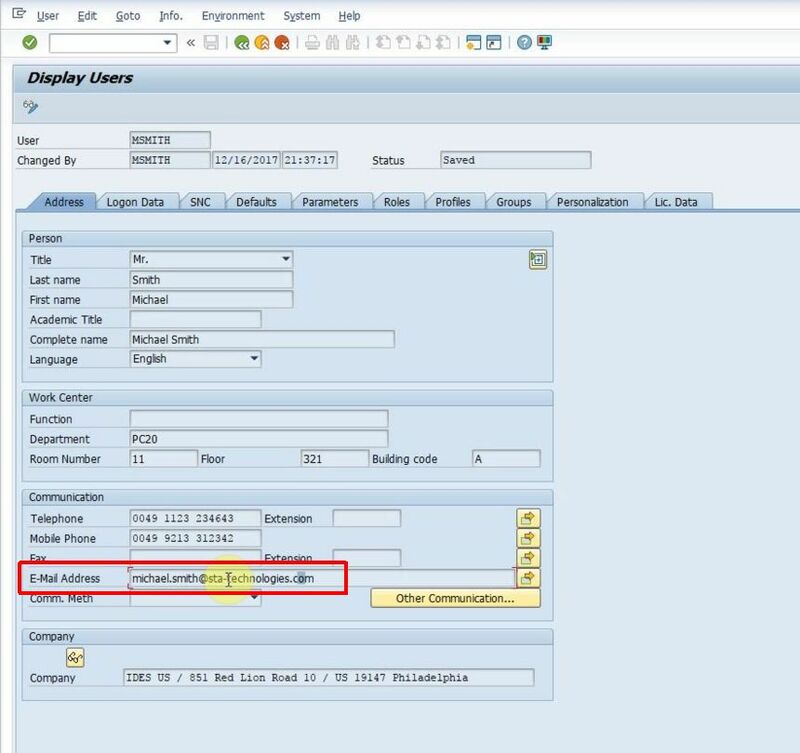 This displays the main screen of the product where you can enter a description of the problem and fill Zendesk fields in SAP. The bottom part of the screen can be customized so you can include all your custom Zendesk fields as well.When you are finished entering basic information, press “Send” to create the incident in Zendesk. 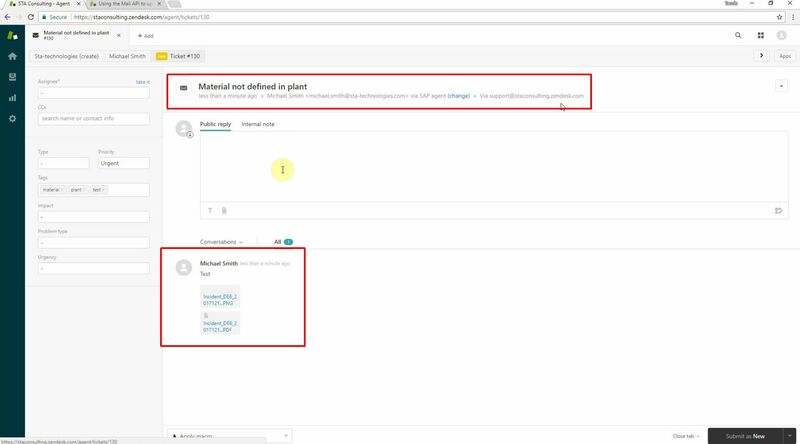 The program automatically collects all important information about the SAP system, SAP user and currently running program and attaches it to the generated Zendesk incident. 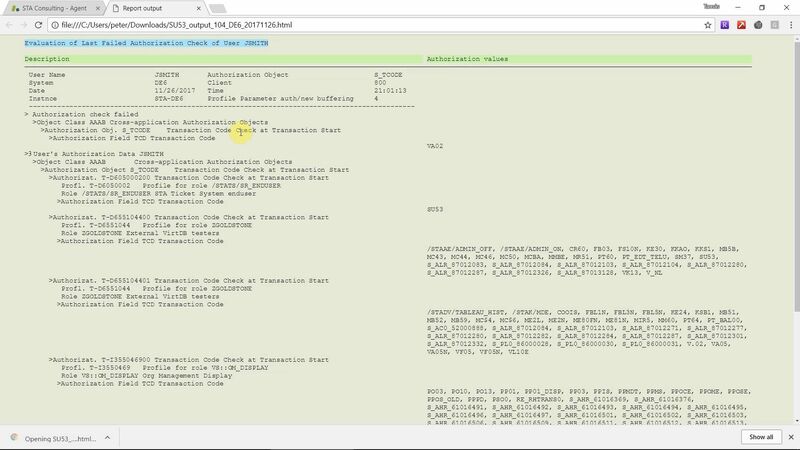 It additionally attaches an authorization report for the current user, a screenshot and optionally a shortcut to the transaction where the error occurred. Having all this extra information in each incident provides huge benefit to the service desk staff. This almost completely eliminates the need to clarify missing details with the caller to be able to start working on the solution. 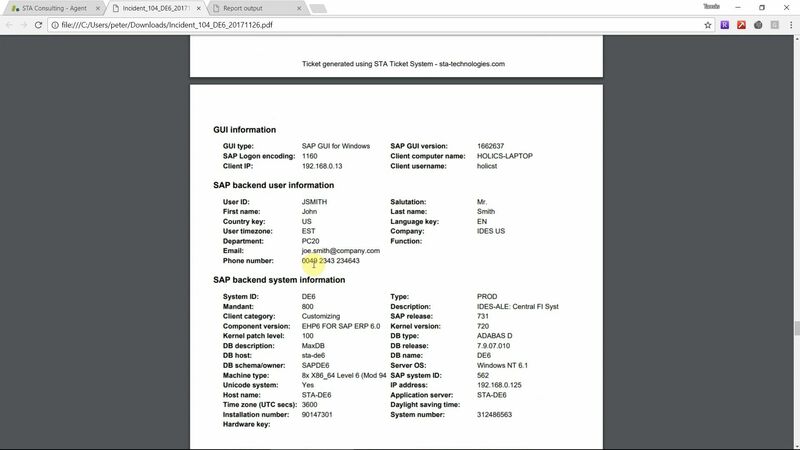 This can potentially save days of waiting for clarification for multinational companies especially if SAP support is outsourced. The Mail API allows you to create incidents from emails set to a Zendesk support mailbox and set ticket properties by adding commands to the body of the email. This is a great feature that allows a very simple integration. The standard SAPoffice module is used for sending emails to the Zendesk support mailbox. That mailbox is managed by Zendesk and if an email arrives that has a specific format, the Mail API will convert it to an incident. During this process, Zendesk parses the incoming email and populates the incident fields, short and long description and add all attachments of the email to the incident. 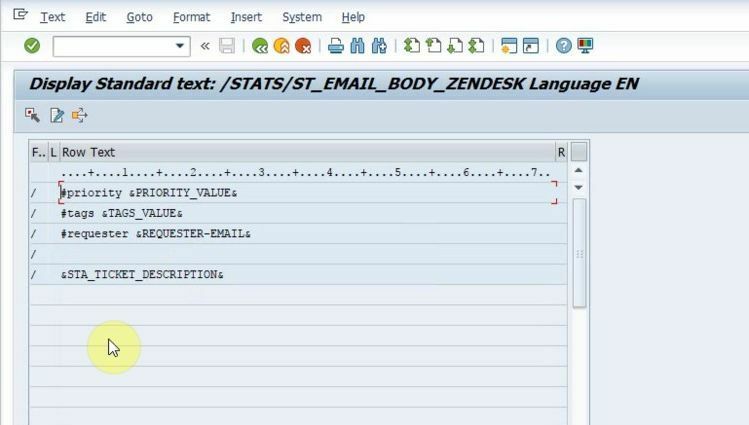 Zendesk also has a REST API that can be used by our SAP add-on. This requires no configuration in Zendesk and very little on the SAP side. You have to install an SSL certificate of Zendesk in transaction STRUST and set up an RFC destination to Zendesk. Inbound Email Actions or REST API? Both interfaces work fine create incidents from SAP systems, but it mostly depends on your service desk processes in place and on your infrastructure whether you should choose REST API or the Mail API. Choose the Mail API if the connection from the SAP systems to Zendesk is difficult to implement (because of firewalls, company policy etc.). Using SAPoffice for sending emails can also store all error reports as outgoing emails which is good for reference. A drawback of using the Mail API is no immediate error message can be shown to the user if the incident cannot be created. This is due to the fact that the incident may be created a few minutes after submitting it from SAP and there is no feedback from Zendesk if the operation was succesful or not. 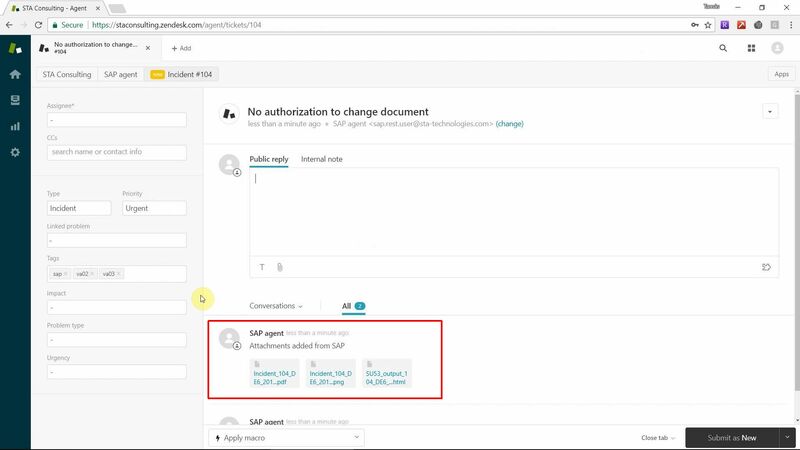 Choose the REST API if you want to use a modern interface or if you do not have SAPoffice configured, which is a prerequisite for sending emails from SAP. Another advantage is that users can get immediate feedback if the creation of the incident was successful or not. 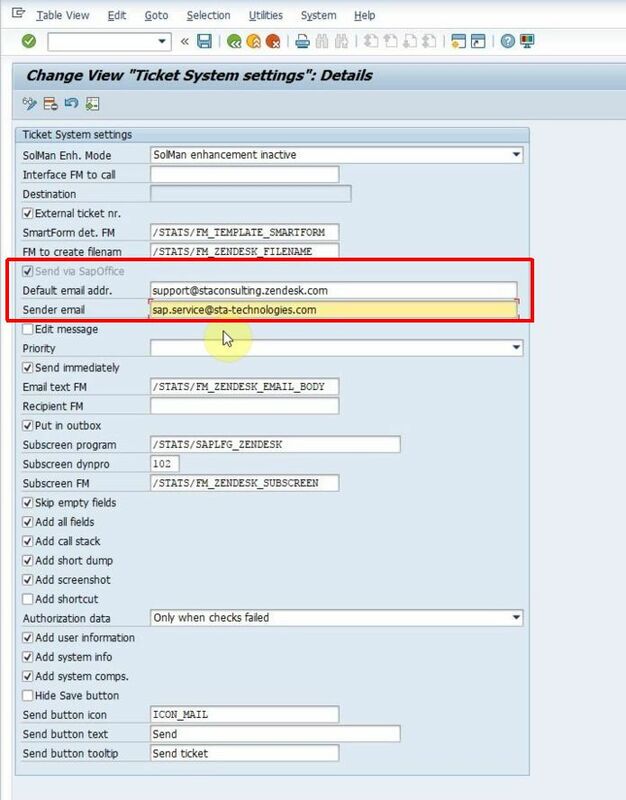 Alternatively, you can create incidents by the email from SAP to a specified support desk mailbox (like [email protected]). All incoming emails can be processed by your support teams and they may decide to create an incident from it (either manually or by forwarding the email to the Zendesk support mailbox to trigger the Mail API) or classify it as user mistake and reply to the email. This approach keeps your existing processes in place and SAP users can’t create incidents in Zendesk directly. You can add your custom fields used in Zendesk to the customer subscreen part of the main screen of STA Ticket System. You can also implement any business logic you require, like filling fields with default values etc. We deliver a template that you can use out of the box. If you need anything custom, simply copy and modify it to include your own business logic. Your own ABAP developers can implement this or we can help you with consulting services to implement everything you need. Having a full information package attached to every incident that is created, you can expect a significant reduction in ticket resolution time. 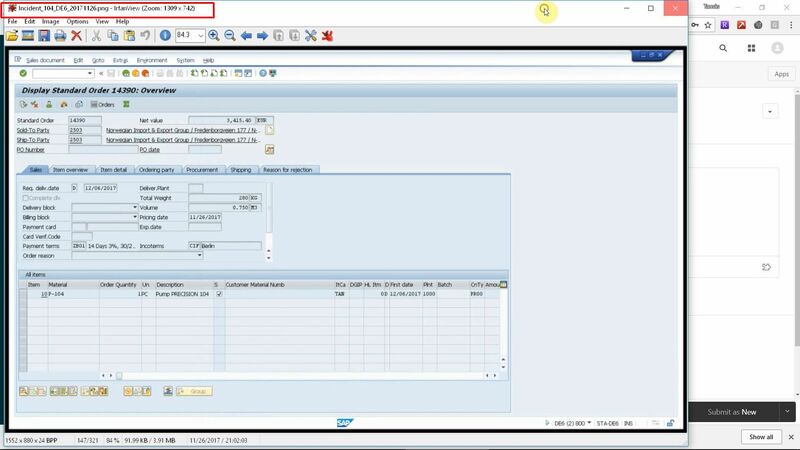 It is also much quicker to submit an error report so your SAP users will have to spend less time on reporting problems from their valuable working time. The final result is a significant reduction of SAP maintenance costs as well as other indirect benefits, like less system downtime and job satisfaction. STA Ticket System is listed as “STA SAP Connector” in the IT & Project Management category of Zendesk Apps Store. You can contact Zendesk as well as us directly to get in touch and start a free 30-day trial.